Darn... so many otherwise cute jackets that are too short. WMTM is full of tops that are too short... when will this trend stop? They really have to get these website pictures under control. 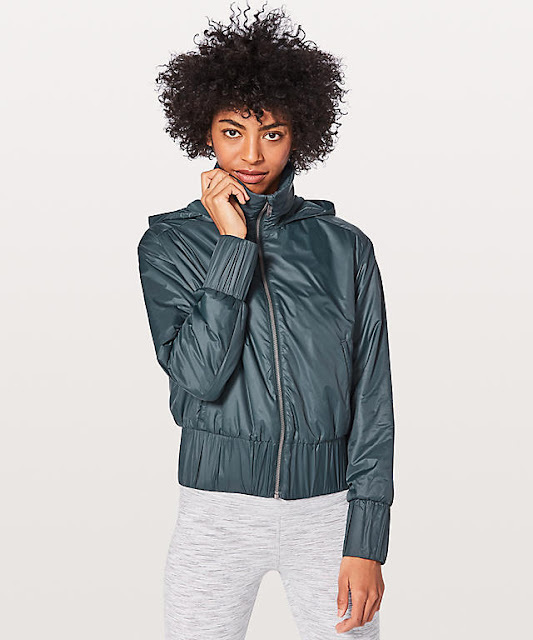 I own the Silver Fox In Flux Jacket from a few years ago. It's gray, unmistakably gray. Most of the website pictures make it look like pale blue. I don't know what they're doing to these pictures, but it's going to cause a lot of customer anger if they keep misrepresenting the products. I cannot believe that Lululemon brought back the In Flux Jacket!!! That definitely went in my cart right away, haha. And I'm so glad they're bringing back Quicksand; all the Quicksand stuff sold out so quickly last time. Waiting on them to make crops and shorts. Fingers crossed! Nothing for me either. I'm sure it has been said before so sorry for saying it again -BUT everything looks the same..... 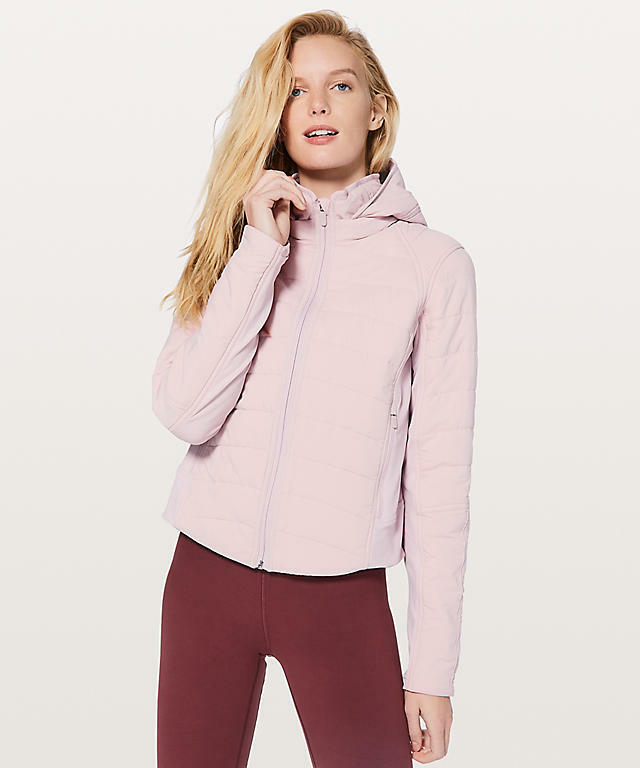 I walked into my local Lululemon store today and honestly I couldn't tell what the new items were new items and what items were from weeks ago. 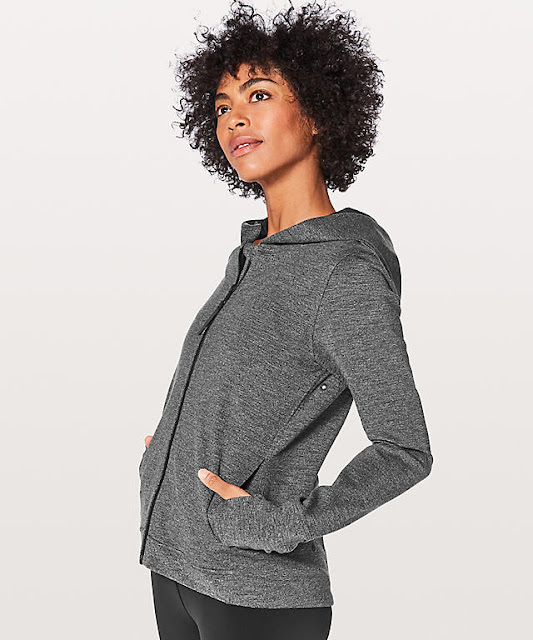 I wish Lululemon already understood that I have enough basic black jackets even if you add a zipper or other embellishment they still look like all the rest. How many black, white or grey tops do I need ? Or leggings that all look the same with no special features. 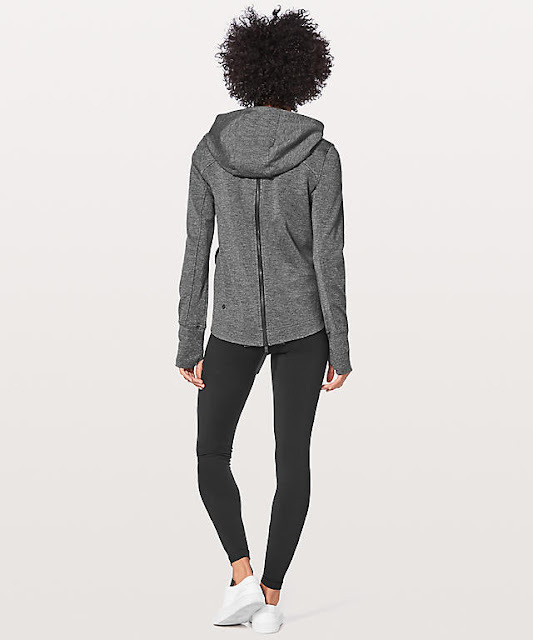 I really should be thanking Lululemon for their change in marketing as it continues to save me money. When I get tempted to purchase I started asking myself if I might already have something similar and in most cases I do so I refrain from purchasing. I'm glad to see In flux jacket back (my fave!). Also, Deep Coal define was released over a month ago. Wonder if this is just returns are something? weird. I was going to buy it but it sold out fast (or so I thought). It's a tie tank in breezy for me. The same tank in a black splattered pattern, which I have not seen on line, is being shipped to me from a store. It sells out so quickly, FOMO! Junk. Absolute junk. Oh, look a yellow sports bra! Yay...ridiculous. The website is extremely frustrating to navigate and see the items display. It's not a browser issue either. So sick of this company, everything looks the same, no innovation, just boring and bland. I'm over it. Right! I didnt try anything on today because it all looked so short. So much too-short, non-functional hideousness. That Gather and Go jacket is a catastrophe. All the *expression junk looks cheap. The majority of this stuff will be languishing in WMTM six months from now. They are making it easy for me to save my money. Expensive upload for me. I don’t wear Swifties , just not my thing, not liking how they ride up( and I have very narrow hips and almost no waist) Anyways, had to have it in Quicksand . Will keep the tags for now in case they make other tanks in this amazing color. Wonder if any 7/8 bottoms in Luxtreme will come in this color ??? I will be all over them. Also broke down and ordered Awaken tights in dark shadow . Hated to pay $118 for what seems like a variation of Train Times, but liking the color a lot. 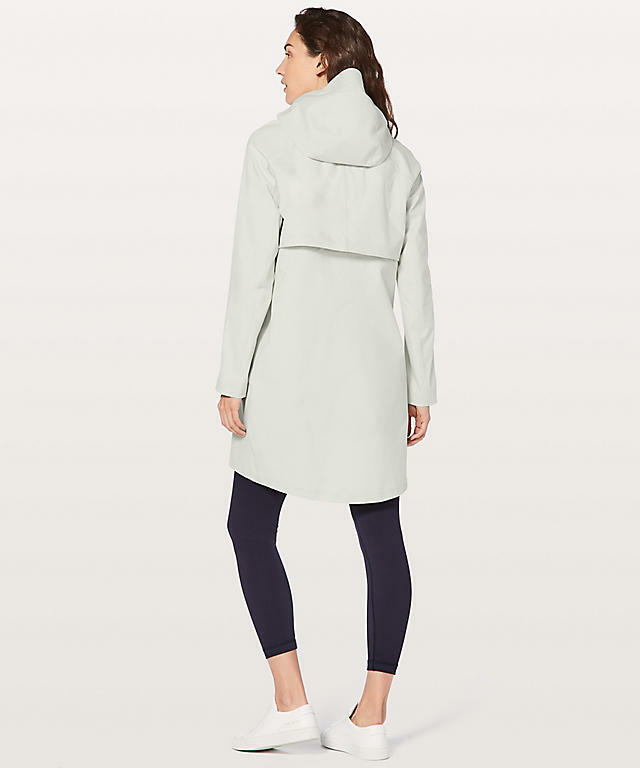 Almost checked out, but looked at WMTM and picked shaped jacket expression in black. I’m not a fan of logos, but I saw it at the store and black one is the most discreet one. Now will keep my fingers crossed for Quicksand bottoms !! Lulu, it would have been nice if you could have given us some more down options this year instead of the couple offerings you gave us. 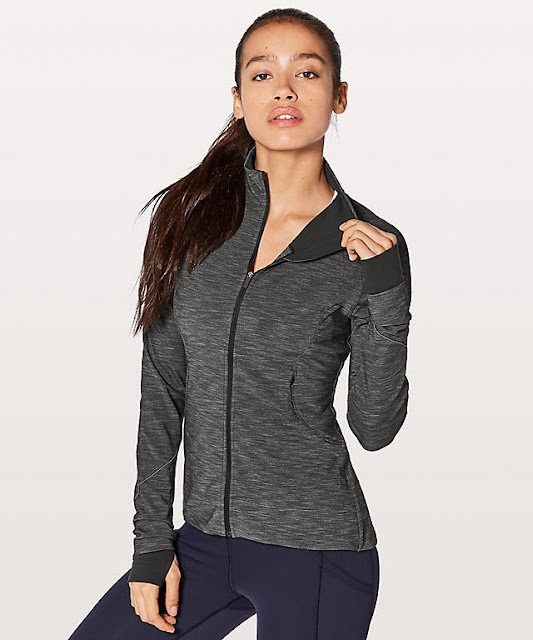 I bought the down for a run jacket and it looks so cheap compared to past years, there is barely any down in it. 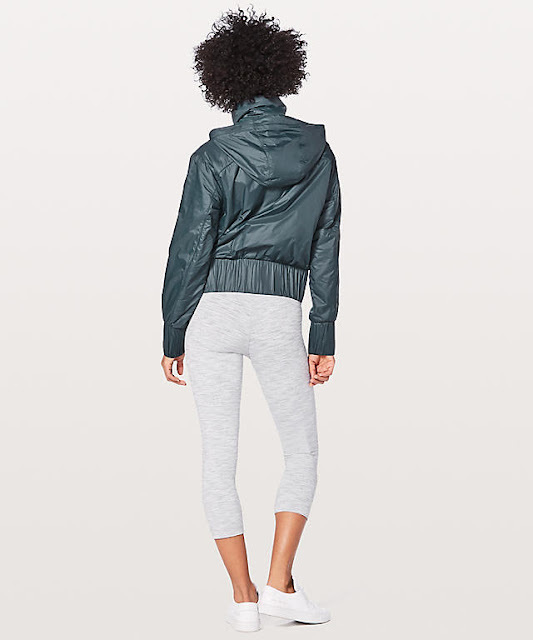 I also would have loved to have seen the down shorts from years ago, they are incredible for winter. So endlessly frustrating how you do not give the customers options and quality, it's gone, sadly. I keep checking back to see if anything has changed and I see no progress. wait haven't the midnight navy aligns been around for awhile? those aren't new, are they?? @ anon 10:27 pm - Maybe? I usually check the first few colors since those are the newer ones but I don't follow align colors super closely. 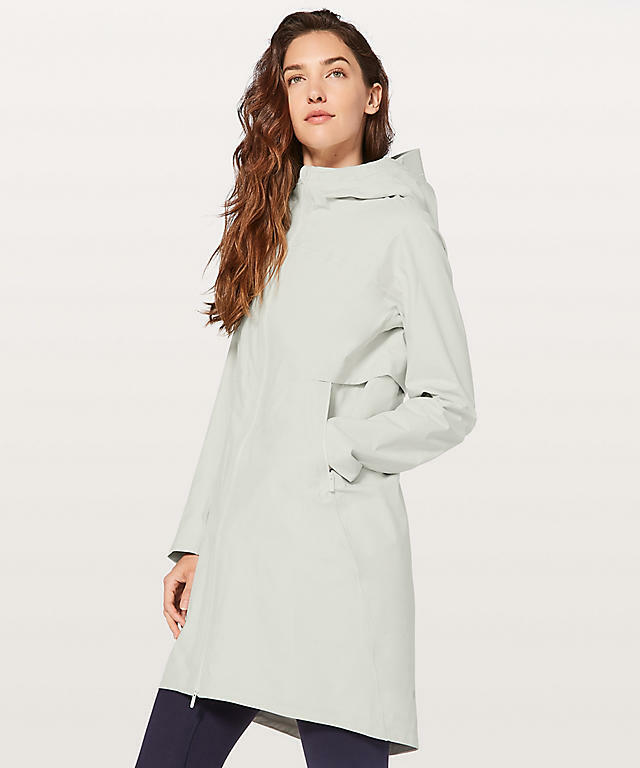 I think Gather and Go jacket is cute. @Rise and Shine- I think you are right about the Silver Fox. I thought as I scrolled through--- Hmmm...I think I have a top in silver fox, but it's grey... I thought maybe I was remembering wrong. They really need to stop messing with the color on the photos. It's affecting my buying for sure. I've been doing image searches to try to find pics of actual colors before purchasing now. If I can't find more pics of the color, then I hold off on buying. Sometimes, I lose interest in the item by the time I see it IRL. A good lesson in my impulsive buying habits, I guess. Bad for Lulu though. 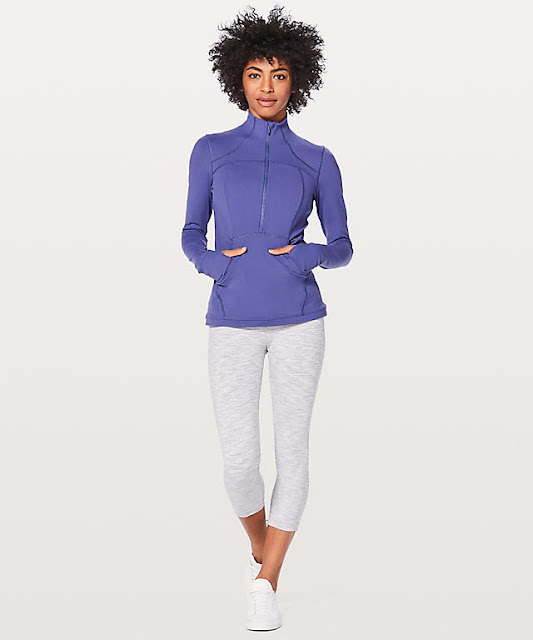 is it possible you are thinking of the Align Pant that is 25" (not the crop, but the original align pant length) vs. the full length 28" Align Pant? 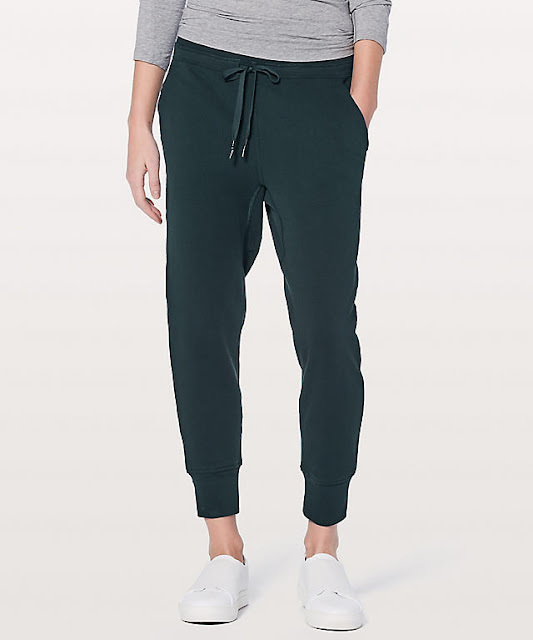 I think the midnight navy is new for the full length Align Pant. I may be wrong. Size up in your swiftlies. They are still fitted but then the ride up issue is solved. Mine all rode up when I ran until I bought a size up once by accident and couldn't figure out why others rode up and this one didn't. When I looked at the size I realized I grabbed my size up (had size 4's, grabbed a size 6) The fit didn't feel hugely different but omg! What a difference in performance. Sold all mine and rebought all in my size up. Overall the jackets are hideous and way too short lately. WMTM is like a look-book of cropped tops that no one buys because no one wants to wear cropped tops. I miss the high technical aspect of their designs. Not that many years ago, their items were fully technical, cute and comfortable. Now, 3/4 of the stuff wouldn't stand up to my workouts. It's a good thing that I bought a lot in the past as I haven't bought a single lulu item in like 2 years now. I've switched over a lot of my purchases to Athleta where if I want technical gear, they have it. If I want Athleisure, they have it. If I want hiking/travel clothing, they have it and it's all separate. Not once piece trying to be a jack of all trades, master of none. 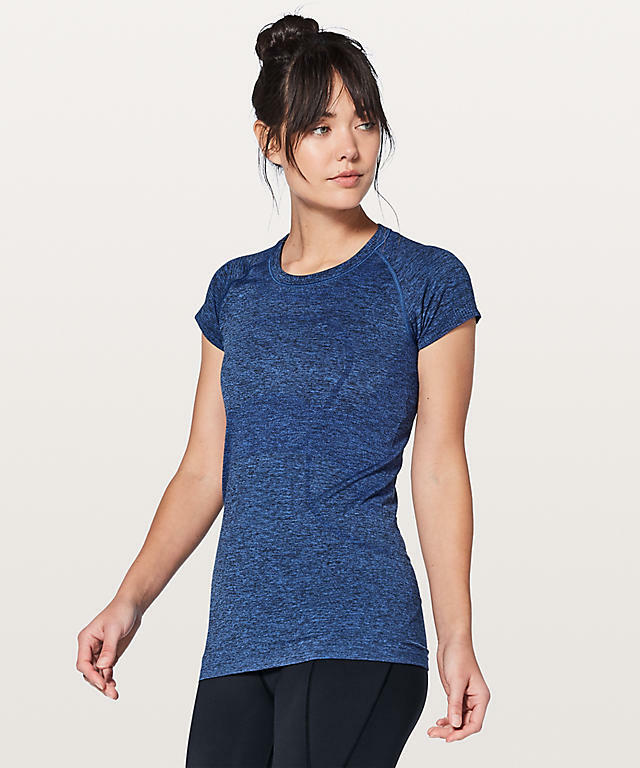 @ anon 12:49 pm - I started buying the looser fitting breeze swiftlys and really like them. I wish they'd make more colors. 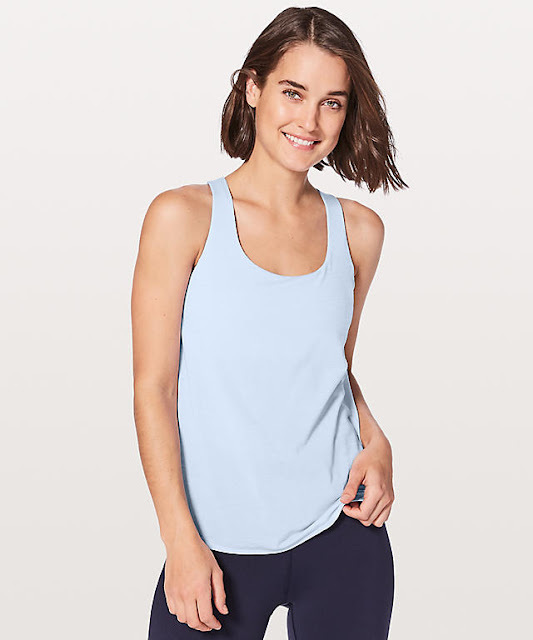 I have a few things from athleta that I really, really love - the new powervita pant, threadlight relaxed ls, yogini tanks, and flexlight ls. I still like lululemon for bras and fast and free tights. 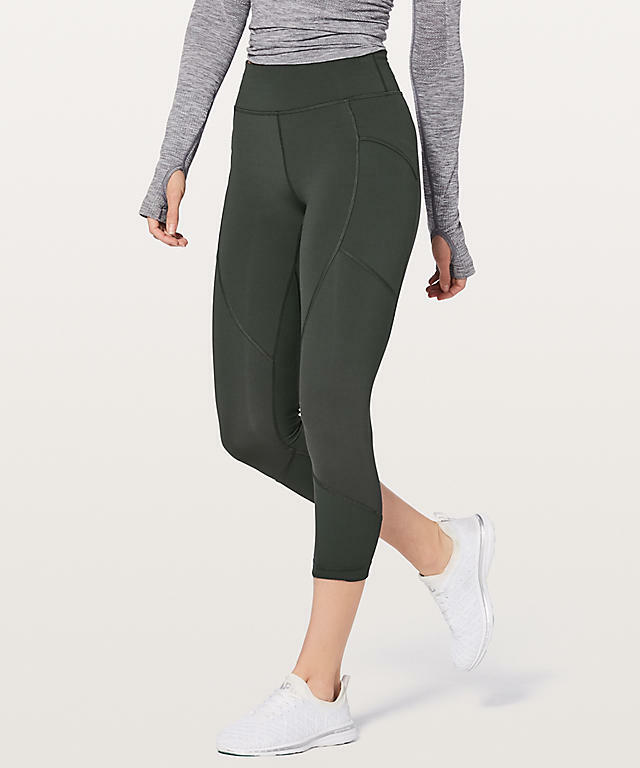 LLA, I went & tried on the powervita pants at Athleta after reading your review, purchased them, wore them the next day, and am now also a huge fan. They are comfortable & good for when I'm not in the mood for a legging/tight on the weekend. They look very chic for weekend wear, and I might even brave them for casual Friday at my office. I hope they make more colors in them for Spring/Summer, like a navy, khaki, pale gray, etc. Thanks so much for the info as always! @Patty- glad they worked for you! I'd love if they made them in navy, heathered black, and herringbone. Does anyone know what the tank is that is in the picture of the Midnight Navy Aligns pants, the white one?